Online Music Store How To Get Amazon Music Unlimited Subscription Totally Free? As a music streaming service, Amazon Music Unlimited allows you to listen to your favorite songs on your tablet, computer, or smartphone. Also, you can use it on a TV or Amazon Echo for the lucky one. You get access to over 40 million tracks, and the catalog doesn’t stop there. 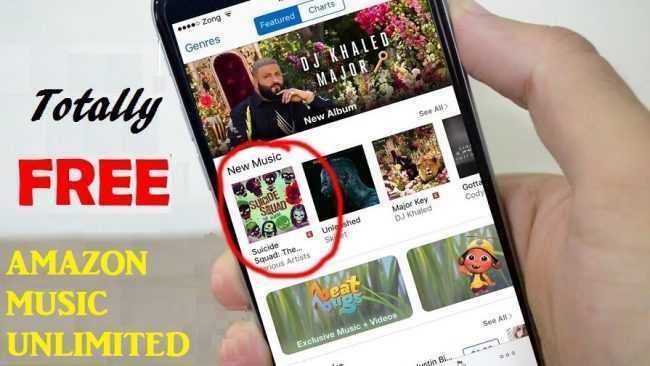 It’s boosted by new releases from the most famous artists globally where you can download albums and songs to listen when you are offline and to top it all; it’s ad-free. When you join, there are two tires you can choose from but don’t be fooled by the prices. You can get Amazon Music Unlimited for free. A few trick here and there will give you access to you best tracks followed by the chance to get comfortable with latest hits from the worlds most talented artists. Besides, it would be cool to put together you favorite songs in playlists to listen and share with your fellow users. To access Amazon music unlimited will allow you to use amazing features Amazon has to offer. Majorities are familiar with the 30-day trial but only a few know how to ‘extend’ it through special offers, but I will come to that later. For now, Amazon Music Unlimited allows you to access on-demand, ad-free online streaming from their platform of over ten million tracks with unlimited skips for any device you use. On top of that, you get recommendations depending on your music preference which is easier than browsing through the catalog for what you are interested in listening to. The 30-day free trial is available for all users but remember to end your subscription before the free trial ends or else you will be liable to monthly charges. So, whether you are running, in the shower, or walking to work, you have your favorites with you and get personalized recommendations with curated playlists and stations. It would be an awesome experience all together plus you get to listen to other shared playlists. Just ask Alexa to begin your 30-day free trial. 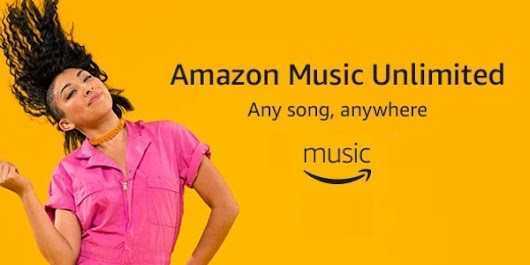 On top of the regular free trial, special offers can extend free access Amazon Music Unlimited. This is mostly done to eliminate the competition and be the dominant one. A recent offer sweetened experience for members with a limited $10 credit when you subscribe for a new account and use promo code ‘summermusic’. For one month, you get free access to Amazon Music Unlimited but for the first $10 you spend will be automatically refunded, afterward which gives you two months free access to cool offers and amazing tracks. Few people are aware of this trick which is not easy to realize unless you pay close attention. For those lucky enough to own Amazon Echo, Echo Dot, or Amazon Tap device, you are just a few dollars away from enjoying your favorites uninterrupted. This two-month exclusive offer includes the 30-day trial lengthened by a simple twist to get you started with Amazon Music Unlimited but do not forget to unsubscribe before the period ends. Otherwise, monthly charges will kick in, and that is not what you signed up for. Ensure you are logged in your Amazon UK account and click on Amazon Music Unlimited deal. Choose your plan and enter the deal code NME10and begin the 30-day trial and get another month free after the trial ends. You can get your music into Amazon Music Unlimited with the help of RouteNote for free. To upload new or new releases, log in to your RouteNote account. For new releases, create a new song, upload the audio and fill in the metadata. Go to manage stores to select Amazon and choose the tier of your choosing. For now, let’s use the free one and send your request to moderation. For old releases, head to your account and open the releases you want to distribute and select Amazon from manage stores where finally you save the changes and the releases will be uploaded as soon as possible. All this you do at no cost and if you don’t have a RouteNote account, sign up to share or distribute as much music as you wish to Amazon Music Unlimited and other major stores. These are just but a few of the legal tricks people use but if you can take the risk and shoulder the consequences, purchase hacked accounts from the dark web for less than a dollar to enjoy free access for a lifetime.